Wow!!!! That cockpit is amazing. Any way you can shed some light on how you did it? I would love for my RLM 02 stuff to come out that good. Keep up the great work, I'm looking forward to this build. Have you decided on markings yet for it? Base color for cockpit is Tamiya XF-22, then i sprayed "light" with gunze H70 with some white (both RLM02, but gunze is lighter), then add oil color wash.
For camouflage i choose this machine with kagero decals. Wow .... very nice indeed. That there is some really fine work. What a wonderful cockpit! The radio bay looks the goods too! That is an impressive bit of modeling, love your work! I changed paint scheme to desrt one. Wow! I like that a lot! One of my all-time favorite schemes. Love that groundwork. I wish I had seen this thread in June, but it's over already! Wow, nice to see it. I don't remember seeing a kit finished in this scheme from our Topdrawings booklet previously. Wow, fantastic progress here Daivd. 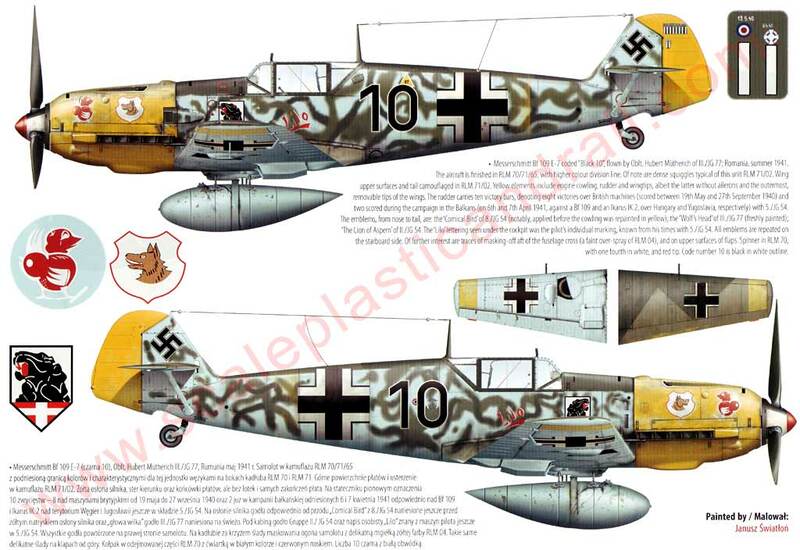 There happen to be some great colored pictures of this particular aircraft in a Luftwaffe Im focus booket. Hopefully, you have seen them before. If not send me a PM and I'll forward a picture for you.